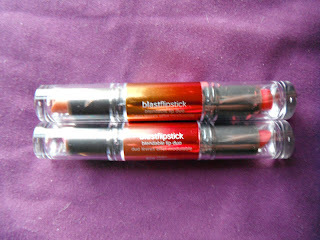 I was recently invited to join the Covergirl Blast Flipstick BzzCampaign, and I jumped at the chance! I received my BzzKit this week, and I have finally had a chance to try out the products. 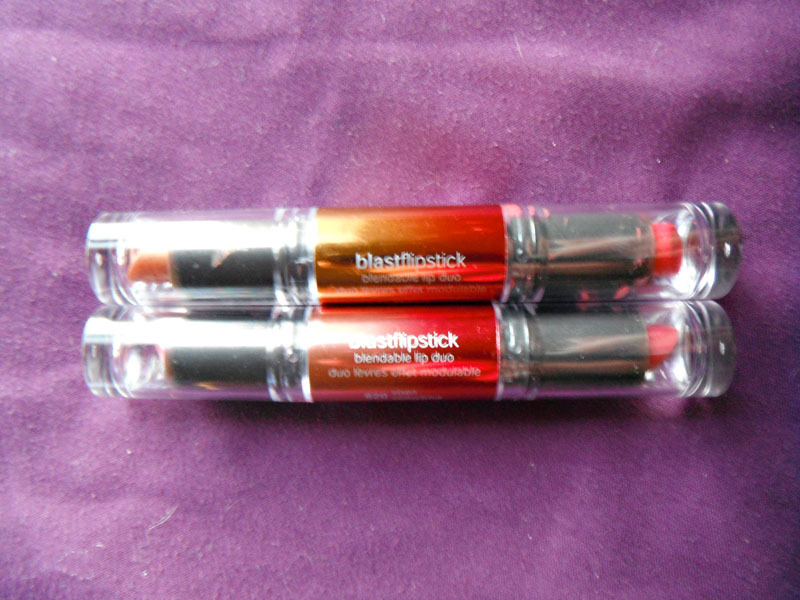 CoverGirl Blast Flipstick is a double ended lipstick. It comes in 13 different varieties, and a total of 26 shades! 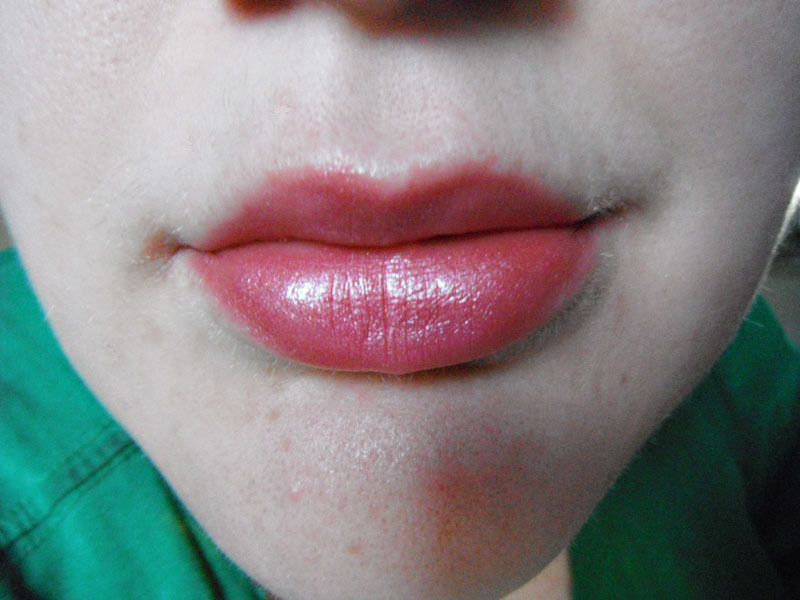 Each one is a mix of two complementary colors: one end is a creamy shade, and the other end is a lighter shimmer shade. They are designed to be worn alone or together, so that one stick can create several looks! BzzAgent was kind enough to send us 3 full-sized products. We received Vixen - a darker fuschia and a light shimmery pink, Stunner - A coral-ish orangey shade and a shimmery gold, and Minx - a darker brown and a shimmery bronze. I am a pale, pinky skinned person and browns do not work for me, so I passed Minx along to a darker skinned friend to try, but I am really pleased with the other two! The packaging is simple and cute. They are a great size to keep in your bag. Stunner is pictured on top, while Vixen is on the bottom. This is the darker end of Vixen worn alone. 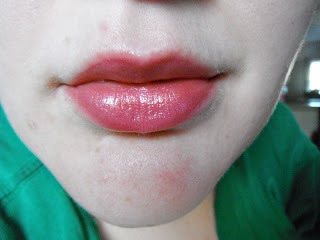 This one is the smoothest of the four shades pictured, and comes of nice and natural on my pigmented lips. This is the lighter end of Vixen worn alone. It is very shimmery and it is sheer...great to add just a little shimmer to your lips or to lighten up a too-dark shade. This is the lighter shade applied over the darker shade...I like it! 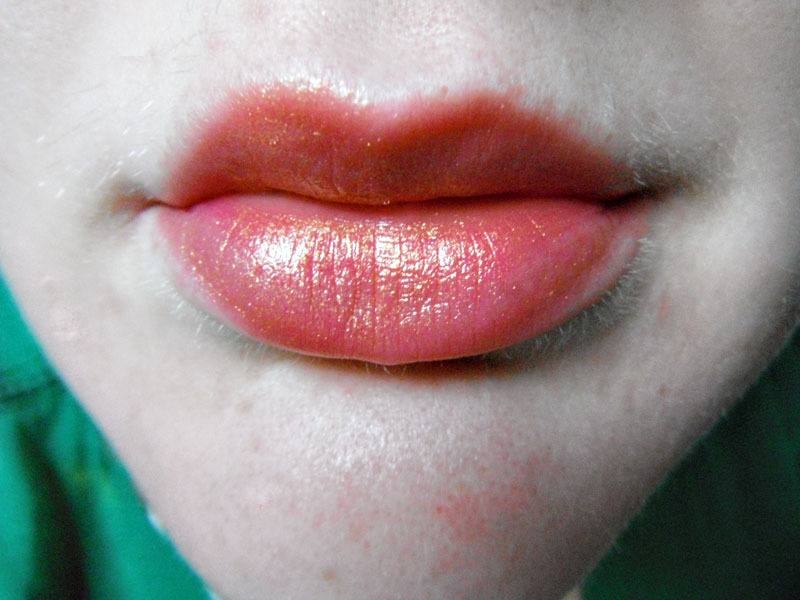 A bit of shimmer, color but nothing too bold...this is great for an everyday look for me. I like Vixen the bost of the shades received, and it suits me! This is the darker end of Stunner. I do find that the texture is a bit more dry than Vixen, but it is still easy to apply and very wearable. 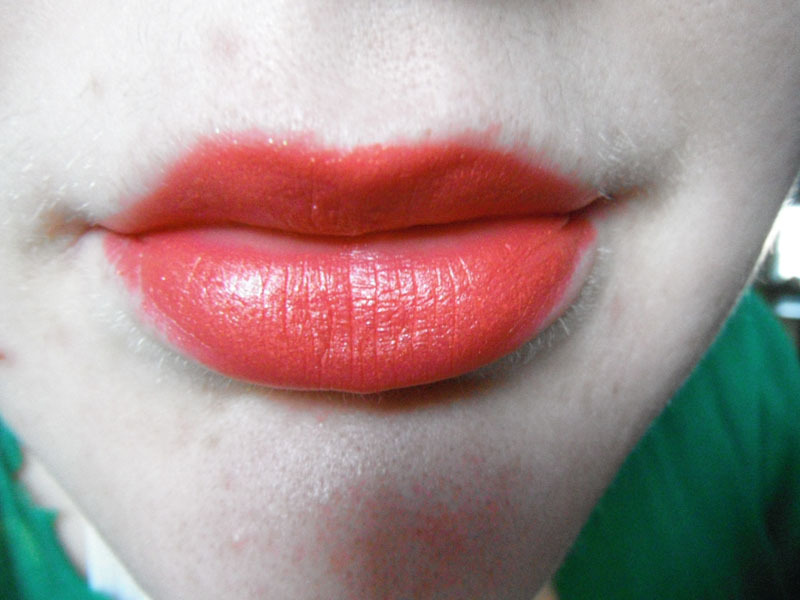 It is a nice bold color, and quite pigmented. 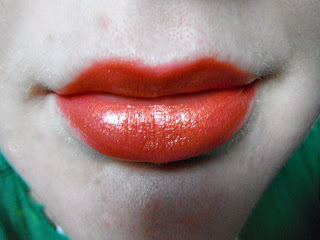 I love it for a special occasion or times I want a bright bold lip. This is the lighter end of Stunner. It is a shimmery sheer gold, and it is so pretty in person. 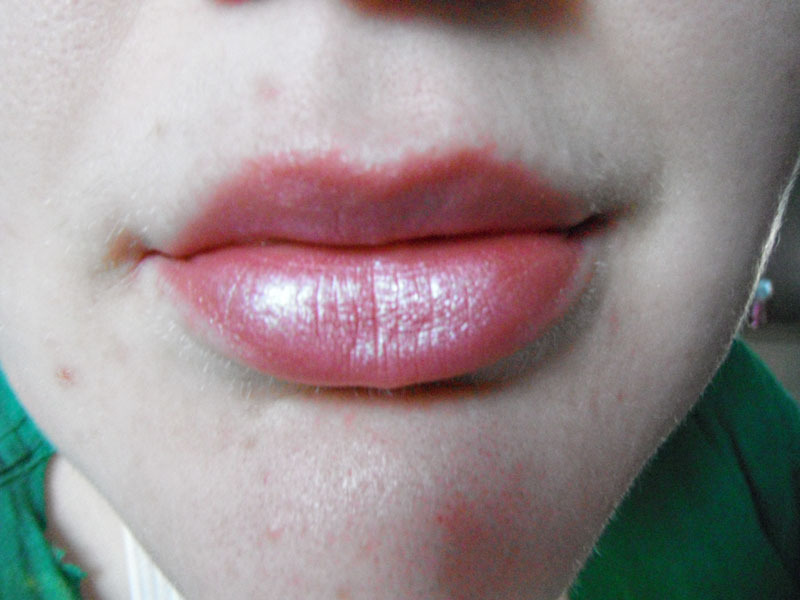 I love this as a lip highlight! It is a bit less smooth than the others, but that's to be expected with shimmery shades. And this is the lighter shade over the darker shade. Together, I think they are dramatic! I love the gold shade on top of nearly everything I've tried it over. The formula of these in general is pretty good - while not super moisturizing, it is easy to apply and it lasts a decent amount of time. I love the versatility of them and that you can combine them in endless ways to create new looks. I will be buying more shades! Have you tried Blast Flipsticks yet? *Disclaimer: I received these items for free from BzzAgent. I was not otherwise compensated for this review and all opinions are my own. I've followed you as well! I like stunner best on you but both suit you well. I haven't tried mine yet.